New to this and just wanted to say hi and introduce myself. Recently moved from the Ford badge to a Mazda and should have made the change a long while ago rather than going with focus's. Anyway purchased a 2010 3 Takuya at a great price with only 40k on the clock so many years left in her yet. Does anyone know how to get the welcome mode lighting to work or is it just for certain models, years etc ? Can anyone recommend a decent set of tyres to compliment the car and what further aftermarket (tasteful) extras go well on a 3 ? Trying to keep it clean and tidy but black seems to attract the dirt in this weather ! Welcome mode lighting is on the right hand knob on the stereo. IIRC you press it multiple times until it appears on the centre screen and then turn the knob to turn it on or off. All it does though is flash the aircon controls and switch on the ambient lighting as you get in on the doors so not the most useful of things! All I've done to mine is change the headlamp and side light bulbs to some thing less yellow. Just feel like they date the car badly. Went festoon L.E.D. 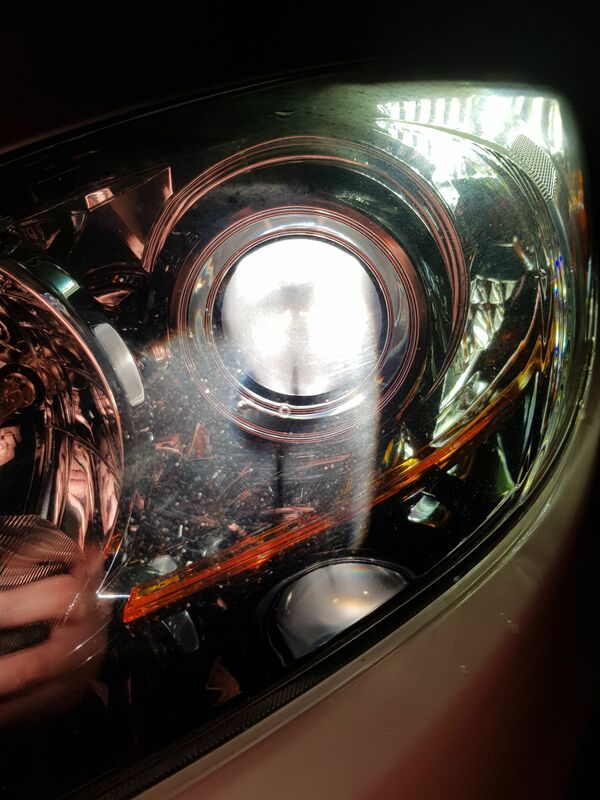 sides and tinted headlamp bulbs both in a 6000k colour. Will give that a go. Sure I have heard somewhere about the fiotwrll lighting but cannot see any reference to that in the manual. The sport has footwell lights, they were an option on the Takuya. The Sport does indeed have dim blue welcome lights in the footwells. I have never thought about turning them off but they are probably fixed on. As you say there is no mention in the manual which usually describes all the options on all the models for anything that can be operated. Just tried turning on welcome mode on my Sport, but I don't think I have footwell lights either. Was it an optional extra? I seem to recall they down specced 1.6 sports some where around the mid life facelift (late 2011). They lost a few of the nice bits like heated seats, and global closing on the windows, wonder if they quietly bumped the footwell lights? No idea tbh just a thought, sounds as though Deckers car is same spec as a Takuya. Might be 1.6s never got them.. Speaking of footwell lights, can anybody confirm what the following is for please? In the passenger footwell, immediately under the glove box, there is a [fairly loose fitting] plastic plate held in place by a couple of clips. I have had to remove it on occasions to get to the air filters at the back right of the aforementioned footwell. To remove this plate completely I have to un-clip a cable that terminates immediately underneath the plastic plate. It appears to be an electrical plug of some sort. I have long assumed this is to accommodate a bulb of some sort to light the footwell but I don't think the TS2 trim ever supported footwell lighting and I can find no reference to this cable anywhere. From what I have read on occasions recently fitting of proper footwell lighting sounds more complicated than simply plugging an LED/bulb into this small electrical socket. Can anybody suggest what this cable might actually be for? I don't have a photo at present but can supply one in the next day or two if that would help. Not to ignore the last question...but no idea! Played with the various settings after work..welcome seems to control if the car bongs when switched on and that's it. ill eft controls if the blue bar on the stereo strobes when you press something on the stereo. Both pretty much useless and nothing to do with the ambient lighting. The footwell lights were only on the very first batch of Gen 2 Sports and were discontinued probably late 2009. I have a Feb 2010 Sport which has no footwell lights but you can get a kit to install them. I still have a kit I bought years ago which I never got around to installing. Cheers for the feedback. Just curious as to why there is a cable there that appears to have no function.